No matter where in the world our guests come from, it seems that coffee is a most popular pick-me-up across the globe, an integral part of daily life for many and something which is always on the radar. Of course, each of our guides have their preferred source for their favourite cuppa, and while we’ll never point you in the direction of a certain iconic, crown-wearing, long-haired Mermaid creature, we will give you our honest recommendations for great coffee in Dublin from local independent coffee-houses in the Irish capital. In anticipation of your likeliness to ask that very question, we’ve put together a short list of our six top picks and recommendations for the best coffee in Dublin to help you plan your caffeine intake into your Dublin trip agenda. You’re welcome! 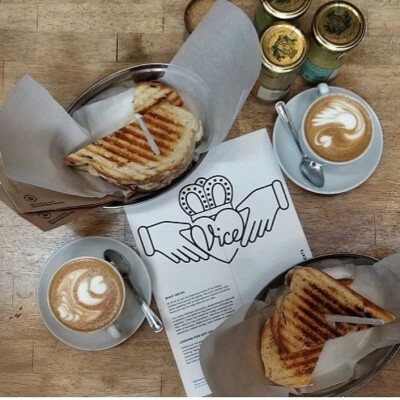 Located just around the corner from our Dublin free waking tour meeting point, VICE coffee Inc. is a multi-roaster coffee bar, renowned amongst many of Dublin’s coffee-aficionados as having the finest coffee in the city. 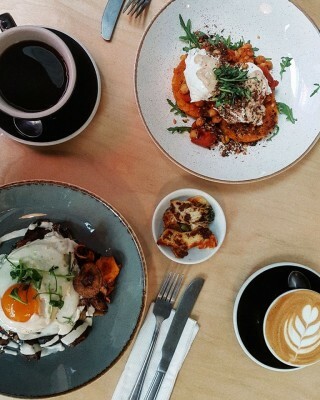 Located inside the delightfully hip WIGWAM venue on Middle Abbey Steet, VICE Coffee Inc. focuses on offering the best seasonal coffee from both local Dublin, Irish, and international roasters. Their extensive coffee menu even boasts coffee-based cocktails! The perfect spot for a proper coffee any time of day - owing to the great atmosphere, decent tunes, and very friendly, helpful baristas & staff - we think it’s ideal for that pre-walking tour caffeine-fix on the way to meet us outside the Grand Social on Liffey Street lower or, if you arrive to the meeting point a few minutes early, just ask your guide who’ll happily point you in the right direction to grab a take-away coffee. This unassuming little coffee shop on pretty Drury street is very popular among Dublin city’s coffee-loving crowd, and for good reason; indeed, in our humble opinion, for three good reasons – the relaxed atmosphere (the crux of which is the joyful staff and spot-on music), the cakes, and the coffee! With its simple, minimalist interior design & style, Kaph lets the coffee and treats make the real impression on those who venture inside. 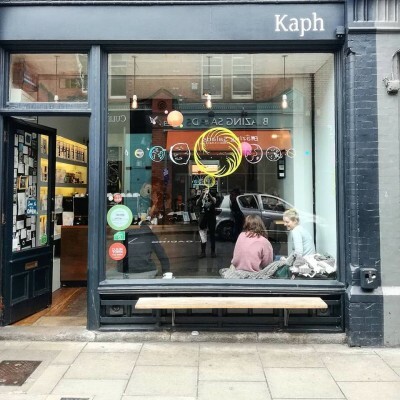 Speciality coffees, with plenty of dairy alternatives too, delicious brownies & buns, including paleo-friendly wheat & gluten-free varieties, and free WiFi – ever important for you, dear traveller, makes Kaph an excellent coffee pit-stop on your rambles around Dublin. If you find yourself in or around Smithfield square, perhaps on a visit to the Jameson Whiskey Distillery or the National Decorative Arts & History Museum, then we highly recommend popping into Urbanity on Coke Lane, just off Smithfield Square, for some of the best coffee in Dublin. A small batch roaster, the impressive interior is inspired by Nordic cafes and this creates quite the unique space in Dublin city for enjoying delicious coffee. Indeed, the design isn’t the only Nordic influence here as the direct-trade, single-origin green coffee beans are supplied by Olso-based Nordic Approach who are renowned for sourcing superior quality green coffees. There’s also an impressive food menu available here too, offering seasonal and fresh eats for breakfast and lunch daily, weekend brunch, and dinner Wednesday to Saturday. One of our favourite parts of Dublin City is Dublin 8. The Liberties is one of the oldest districts of the capital and is full of character and characters that harks back to the days when this area was a thriving commercial zone, home to brewing and distilling, industry and markets – a well as a healthy dose of urban graffiti and street art. It is also home to a plethora of wonderful cafes and coffeeshop gems; among them, a relatively recent addition in Daniel. 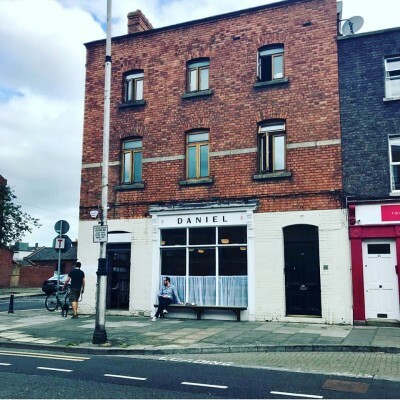 Daniel is located on Clanbrassil Street Lower which is, perhaps, a little off the usual tourist trail in Dublin, about a seven-minute walk south from Saint Patrick’s cathedral, but if you’re serious about coffee it is absolutely worth the slight detour. This café is the third in the city from 3FE, a name which has rightly become synonymous with cracking quality coffee in Dublin. While 3FE supply their own brand of coffee to several coffeeshops in the city, this addition to the 3FE brick & mortar family makes Clanbrassil street something of a coffee connoisseur’s mecca while differentiating itself from other established coffee houses thanks to a traditional style and homely atmosphere. Daniel is a cosy and beguiling spot, complete with tartan cushions, net curtains and the inviting aroma of fragrant coffee wafting throughout. It’s a welcome variant to the typical contemporary style and sleek, modern design elements that characterise many of the conventional coffeeshops of Dublin today. Their pastries and cakes are A1 too! Located in Phibsborough in the North of the city, Bang Bang is a real local gem. Their coffee is roasted a stone’s throw away from their door and has previously been voted in the top ten coffees in Dublin. If the excellent coffee wasn’t enough to lure you here, they also offer an array of delicious deli sandwiches, paleo sweet treats, organic breakfast and brunch eats, and real feckin’ tasty burgers. That’s not all though, there’s lots of locally produced food products and even vintage clothes and vinyl on offer too. 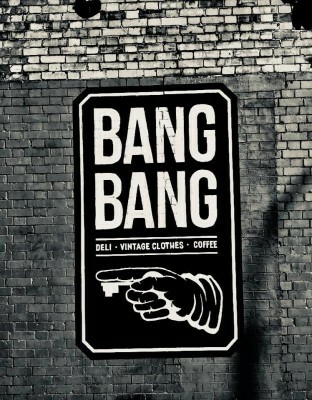 Named after the moniker given to the legendary and much-loved street character Thomas Dudley, whom you can learn more about on our fables & folklore free tour of Dublin, Bang Bang is a truly unique and authentic spot to enjoy some of the best coffee in Dublin. 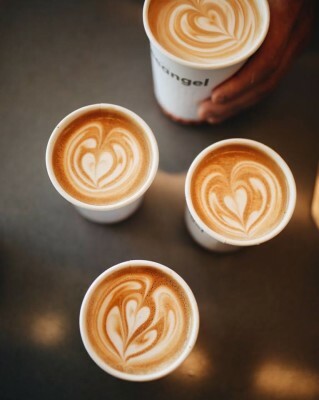 Where Dublin had mere cafes before, Coffeeangel was one of the pioneers of the city’s now buzzing coffee scene where there’s a real commitment to, and passion for, the best quality seasonal coffee beans, brewing exceptional coffee and creating a delightful coffee drinking experience. Founded by a former Irish barista champion, Coffeeangel has five locations in Dublin – on George’s dock in the Financial Services district, Trinity Street, Pembroke Street, behind Trinity College on South Leinster Street, and one on South Anne Street; so, wherever your jaunts through Dublin city take you, you’ll never be too far from a Coffeeangel. With tasty and traceable, ethically sourced beans, baristas who have represented Ireland on the world stage, multiple awards earned, a super welcoming, friendly atmosphere and staff, Coffeeangel is a real delight on the capital’s coffee circuit, and a great source for some of the best coffee in Dublin. 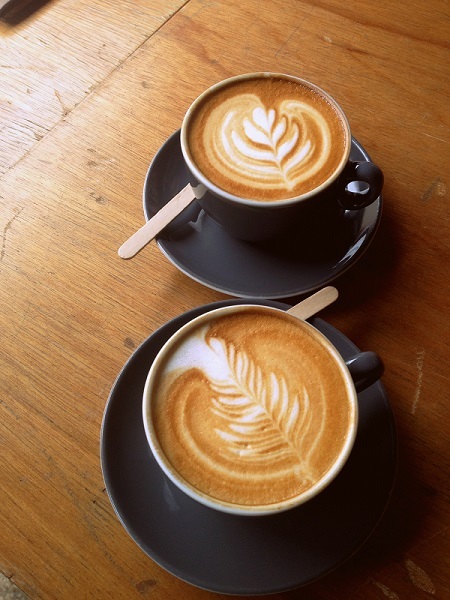 Technically, that’s ten places for excellent coffee in Dublin – but we won’t get too hung up on such trivialities; however many they are, these are some of our favourite coffeeshops (from a wealth of worthy establishments) where you can get some of the best coffee in Dublin. While it is entirely subjective, we do hope this little list will assist you curious coffee-loving visitors to Dublin to fuel your adventures and, as always, feel free to ask us for more coffee tips and recommendations on your free walking tours of Dublin.